Intro 2 Lit and ​American Lit Courses - Available Now, online/anytime! Literature is not just type on a page. It is alive and grows as each reader interacts with classic authors through the themes and ideas contained in each work. Literature expands as each new author reacts and responds to classic works. Literature is a 3D work of art, building on the classics of yesterday to create the envelope-pushing texts of today. Literature involves YOU in the process. Click the button below for a detailed description, a downloadable syllabus, ​and a link to purchase! Learn More - American Lit! How can a course set out to discuss the literature of the WORLD? By starting with the fundamentals. World Literature is engaged in the process of discovery; so to begin, let's discover who we were. The themes of adversity, of class distinction and prejudice, of right versus might - we can hear these universal echoes throughout the classics of World Literature. ​ Red Couch Reading Room's World Lit course will encourage students to read both deeply and broadly, exposing them to works across continents and eras. As classic themes resonate between peoples and nations, students will come to a greater understanding of all that humanity shares as we discover the future together. If you are interested, but just are not quite sure how these "online/anytime" courses might work in your homeschool or school situation, why not give a unit a try? We have new units uploading all the time! I suggest that every student, unless they have already completed the full-year course "Intro 2 Lit", should begine with Lit. Unit: Intro to Literary Analysis to help them get a new perspective on literature, introduce or review literary analysis vocabulary, and get 4 weeks of guided work with Miss Cara. Taken from the first 4 weeks of the year-long course, it will give students a jump on understanding the study of literature. After this course, they will know what questions to ask of the work to help them understand its place in the Great Conversation of Literature. 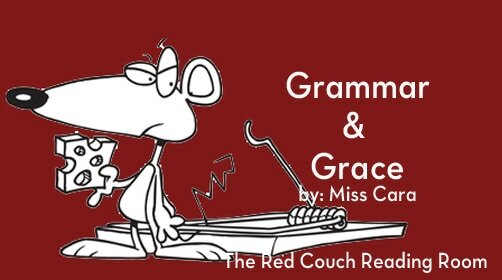 And of course, we hope you will decide to make Red Couch Reading Room's courses a constant feature in your homeschool. In fact - at the end of this Lit Unit there is even a coupon to go ahead and purchase the year-long course with the cost of this first unit deducted.